The entrepreneur says he can tunnel Blue Mountains for $15 million per kilometer. Elon Musk—CEO of Tesla, SpaceX, and The Boring Company—has been pitching his new tunnel-boring capabilities to curious elected officials as well as the director of CERN (the organization that owns and operates the Large Hadron Collider in Switzerland). Just a month after Musk opened up his first, rather rugged test tunnel under the SpaceX campus in Hawthorne, California, the CEO has been on Twitter floating prices and talking projects. Last week Jeremy Buckingham, a member of Parliament in New South Wales' Upper House, asked Musk on Twitter, "How much to build a 50km tunnel through the Blue Mountains and open up the west of our State?" 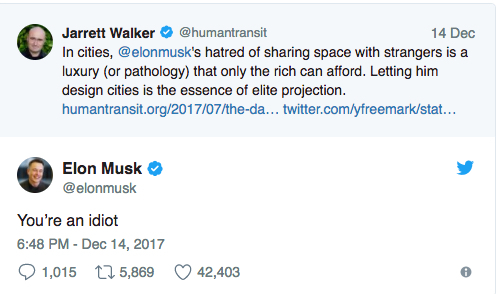 Musk replied, "About $15M/km for a two-way high-speed transit, so probably around $750M plus maybe $50M/station." Cuomo should be tapping this man to do our subway. He says corruption is mucking up capital projects and responsible for inefficiencies. Let’s see him try and change that by bringing in fresh blood to the table. Don't listen to this idiot who cares nothing about transit. Chicago is getting robbed. Elon Musk is the epitome of Silicon Valley hype culture. The man is literally all gas. Don't take him to be anything more than a well-marketed distraction from the real issues at hand. 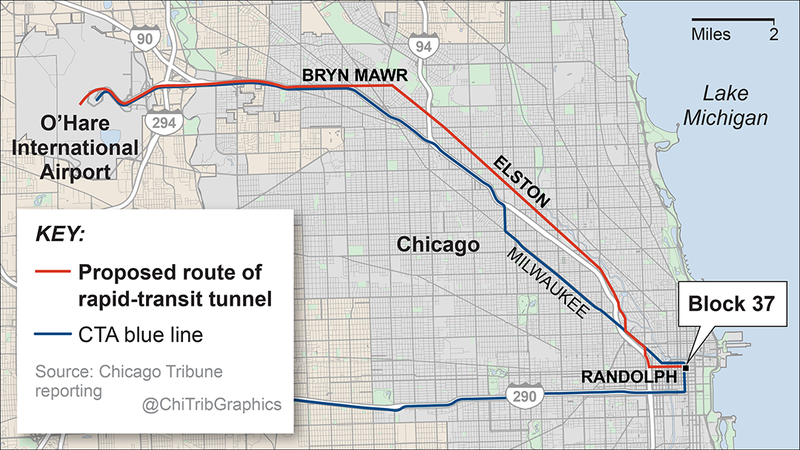 FWIW, the cost of the actual tunneling was never the issue. It's station caverns and ancillary systems -- which can only be solved by adopting cut/cover to various extents, and reforming contracts, community engagement processes, transparency, etc. Anyway his tunnels are barely wide enough for a car, and wouldn't comply with safety regulations.